One of the things I love about digital/hybrid products is the ability to customize. 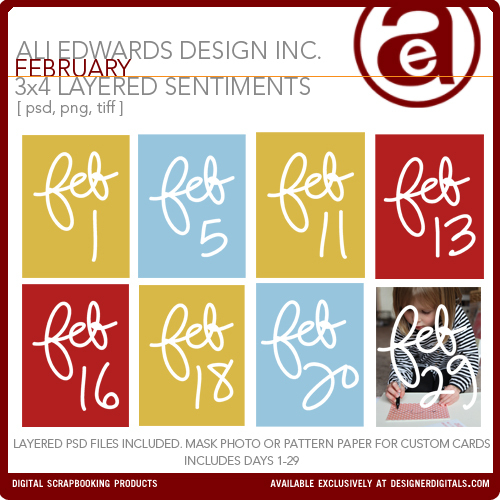 Over the last few months I've released a few different 3x4 layered sentiment card packagaes and today I wanted to share a tutorial showing the different ways you can use these cards. 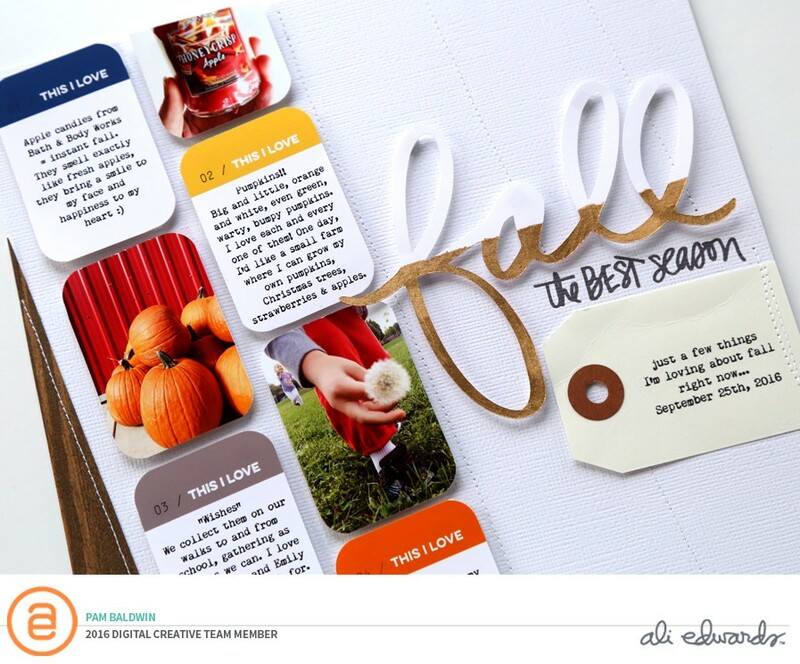 IDEA ONE | Use a digital pattern paper behind the sentiment. The beauty of these cards is in the layers. 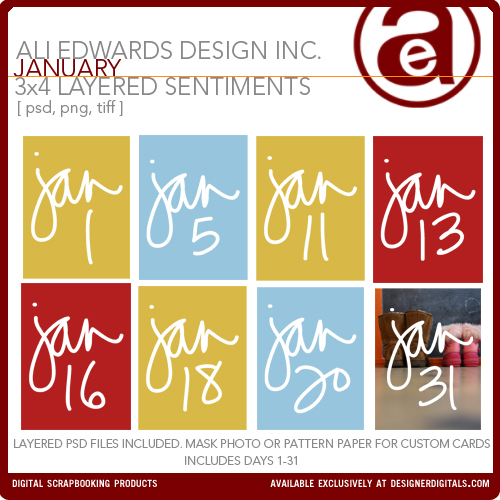 You can place patterns (or images as you'll see below) behind the dates/sentiments before printing or using in your digital projects. The pattern paper used in this example is from this set: Hello My Heart Pattern Paper Pack. The card was printed on Epson Premium Presentation Paper and the corners were rounded using the Corner Chomper. 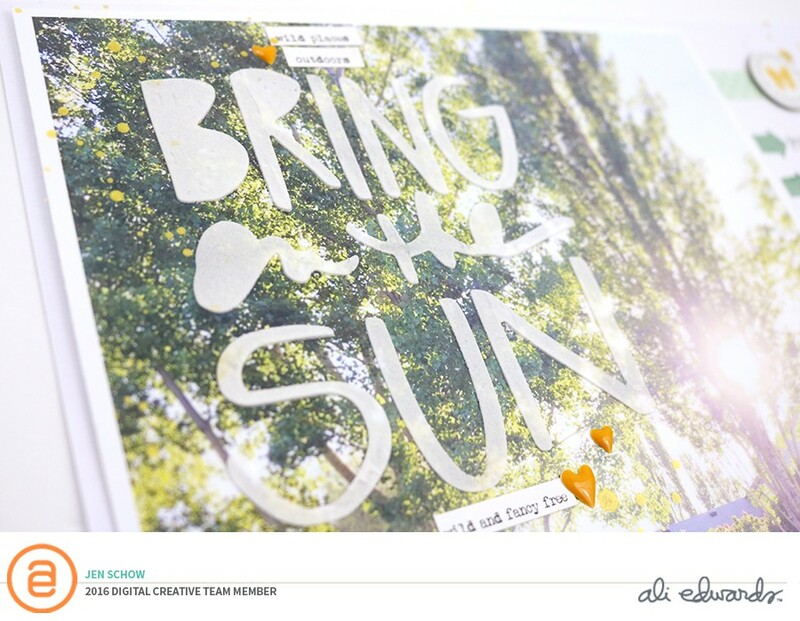 IDEA TWO | Use a photo behind the sentiment. 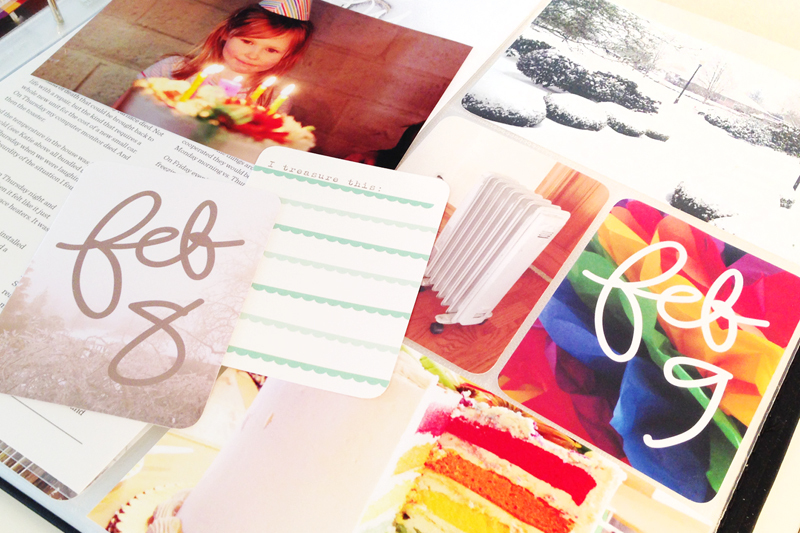 You can see the February 9th card in my Project Life spread in progress from last week above. Love the idea of using these everyday for a week. Because the sentiments are on their own layer you can also adjust the size to make them bigger or smaller. Maybe you want to go smaller and add some text below. Totally possible with the layered files. 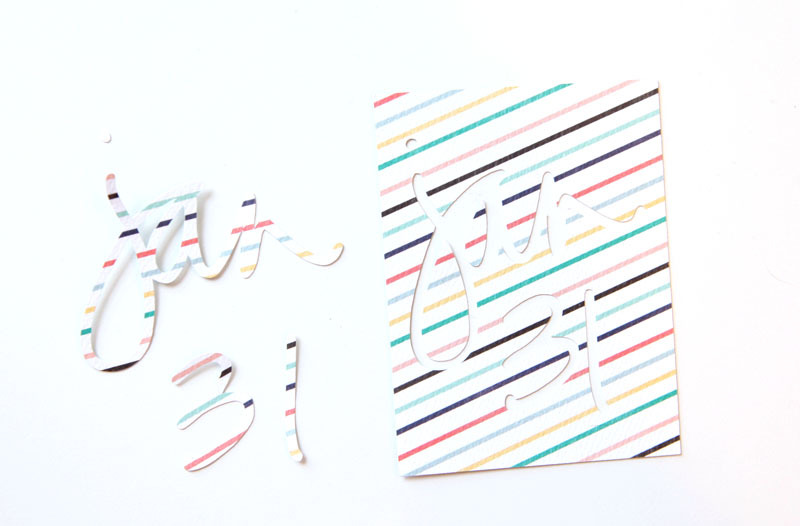 IDEA THREE | Trace and cut the PNG file using the Silhouette. Learn how to trace PNG files using the Silhouette software here (video tutorial). 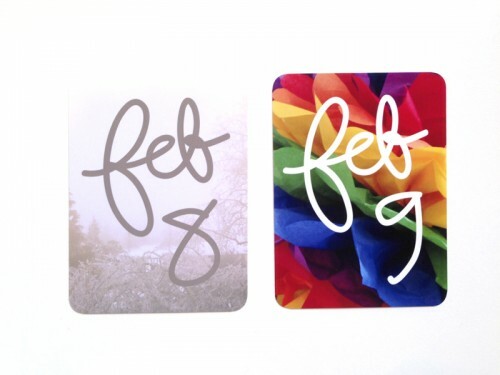 These layered date cards are a great product to use with a Silhouette or other electronic die-cutting system that allows you to trace PNG files (PNG files are included along with the PSD and TIFF files). 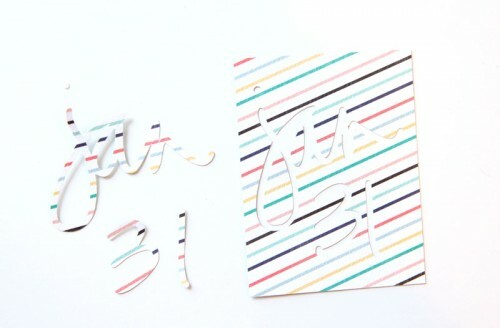 Use the outside cut or the inside word depending on your project needs. Each month this year I'll be releasing another set of 3x4 cards that includes each day of the month. These are great for Project Life or for other memory keeping projects. The products below also include PNG files if you just wanted to change the color and print (vs. working with the layers). 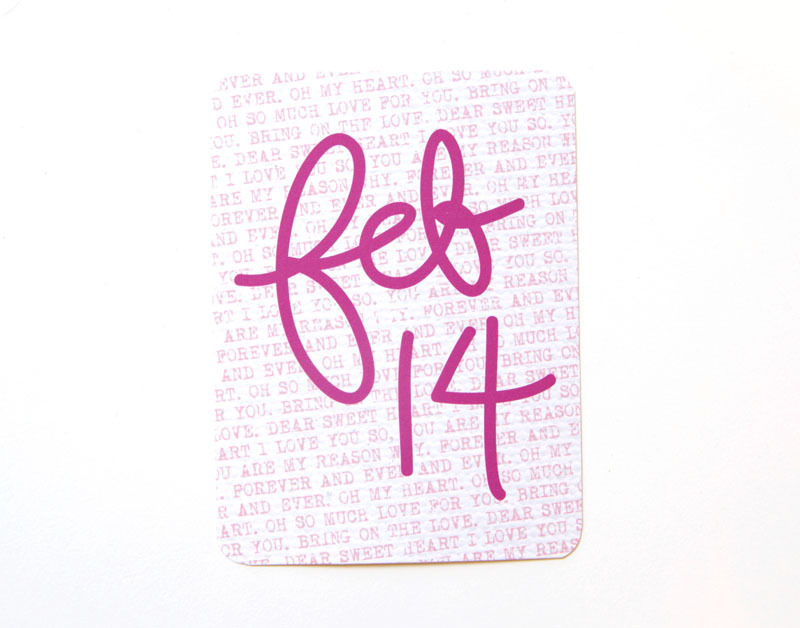 These make wonderfully simple date cards. Gratitude 3x4 Layered Sentiments | Love that these can work for times during the year that don't just have to do with Thanksgiving. 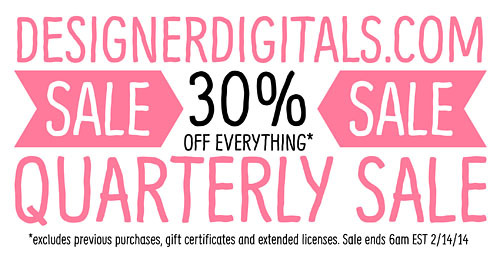 DON'T MISS OUT | The Quarterly Sale is in progress at Designer Digitals this week with all products 30% off. 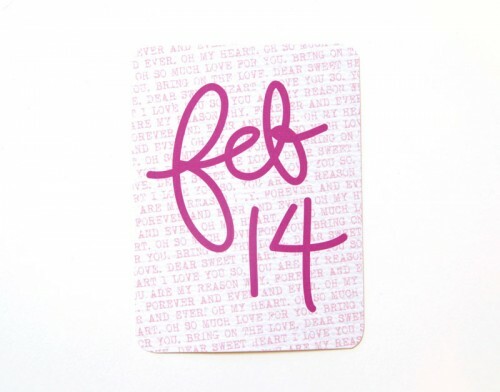 Sale ends Friday, February 14th at 6am EST. View other posts that include video tutorials here. Ali I have one question about your Big Picture Class, Hello Story. I took the class last year and loved it. I want to do it again this year, but what I want to is has the class content changed? Or is it the same content from last year? Hi Felicia - it's exactly the same. Most of those big classes at Big Picture get run at least twice with the same content. Hi Ali. For digital products that specify a size (for instance these are listed as 3x4), can you modify them to fit a 4x6 photo or cutout? If so, do you just modify the canvas size? Thanks! Hi Claire - yes - especially for these that are layered files. Click on the background and then change the canvas size to 4x6 (it should not change the size of the word art when you do that). You can then move the word art around, resize it, etc.